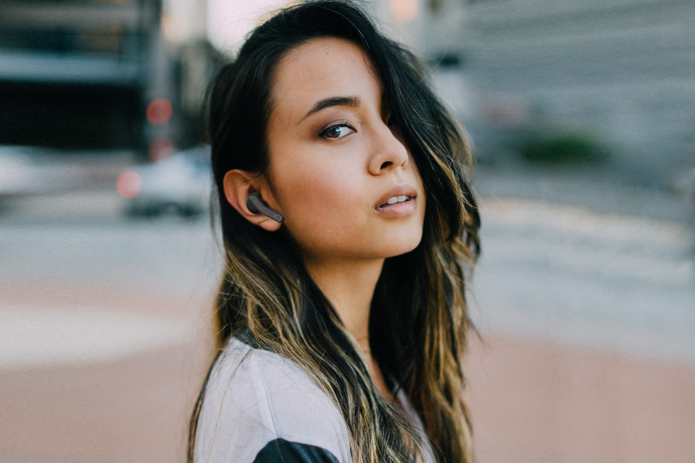 The HYPHEN earbud project sets itself a high standard. For this price and features these wireless earbuds can become the Apple AirPod killers. What are the HYPHEN Earphones? The HYPHEN earphones are a set of wireless Bluetooth earphones similar to Apple AirPods produced by Rolling Square in Switzerland. They feature a smart tap control system (like Sennheiser’s premium Momentum earbuds) to answer calls, control your music or talk to your smartphone assistant. The HYPHEN sport a similar battery life as the Airpods, but one-up Apple’s buds by being fully water resistant. So there are no issues, taking these things into the rain. Furthermore the HYPHEN earphones come in different colors (grey, black or white) and have an ergonomic design that slides and stays into your ear conveniently. The tips are made of a mix of soft touch plastic and a glass like surface for proper comfort. Where can I get the HYPHEN Earphones? The HYPHEN earphones can be purchased on the Indiegogo project page, the project has surpassed its funding goal already. As an early bird you can get them for below forty bucks, which is a really competitive price if you lay it next to direct competitors like Bose Sound Sport Free or the Sony WF1000X. The first HYPHEN earbuds are scheduled to ship in March 2019.